Could the Solar Eclipse Injure Your Eyes? With the excitement of the solar eclipse looming, many people are planning on viewing this spectacular event. However, just as important as where you will be viewing the eclipse is HOW you will be viewing it. It is important to have the proper eye gear and eye health awareness to prevent the eclipse eye injury. A solar eclipse is when the moon moves between the sun and the Earth. This moon movement casts a shadow on the Earth. When the moon completely covers the sun, you will see a glowing ring of light peeking out from around the moon. This ring of light is called the corona. It is the corona that can cause damage to your eyes if looked upon without eye protection. How can the eclipse hurt my vision? Looking at the corona unprotected can cause damage to cells in the retina. The retina is in charge of sending signals to the brain. Therefore, damage to these retinal cells can cause permanent vision changes. Such vision changes can range from altered color vision, to distorted vision, to central vision changes. The central vision changes are also known as solar retinopathy or “eclipse blindness.” Eclipse blindness vision changes can include graying of vision as well as permanent blurriness. The only time you can safely look at the eclipse is when it is in its total state. However, this is usually not for a long period of time. Therefore, as soon as you start to see a glimmer of sun, be sure to put your protective eye gear back on to prevent any retinal damage. You can get a pair of protective eye wear for free at many eye centers and other retailers. If you feel like your vision is changing and you are not sure why, always check with your eye care provider. Also, there are several other things you can do to make sure you keep your eyes at their healthiest. Know your family’s eye history. You may be at risk for vision problems and not know it. If you are at risk, you may need more regular visits to the eye doctor to prevent or treat vision issues. Eat a eye-healthy diet. Fruits and veggies such as leafy greens and brightly colored fruits and veggies like carrots, sweet potatoes, peppers, and tomatoes are great for eye health. These foods contain beta-carotene, which is converted to vitamin A. Vitamin A, among other things, helps protect the surface of the eye. Along with vitamin A, healthy fats are important for eye health too. Healthy fats like those from nuts, seeds, avocado, and fatty fish have been shown to protect vision. Protect your nerve health. You can protect your vision by protecting your nerve health too. Nerve health can be damaged by diabetes as well as by smoking. Uncontrolled diabetes can increase risk of vision loss and glaucoma. On the other hand, smoking can increase risk of macular degeneration and can constrict blood vessels, which can harm the optic nerve. Keep your eyes clean and protected. If you wear contact lenses, be sure to use hand hygiene and clean your lenses often to prevent infection of the eye. Also, be sure to wear sunglasses whenever you are outside to protect your eyes from damage. Finally, be sure to limit screen time to prevent drying of the eyes over time. If you work in front of a computer all day, try to take a look away from the screen every 20 minutes to give your eyes a rest. Take eye health supplements. Supplements such as Ocutain by Vita Sciences can help support eye health. Ocutain contains beta-carotene as well as lutein, which have both been shown to be important nutrients in vision health. 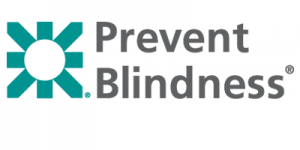 Visit for more information on how you can protect your eyes.